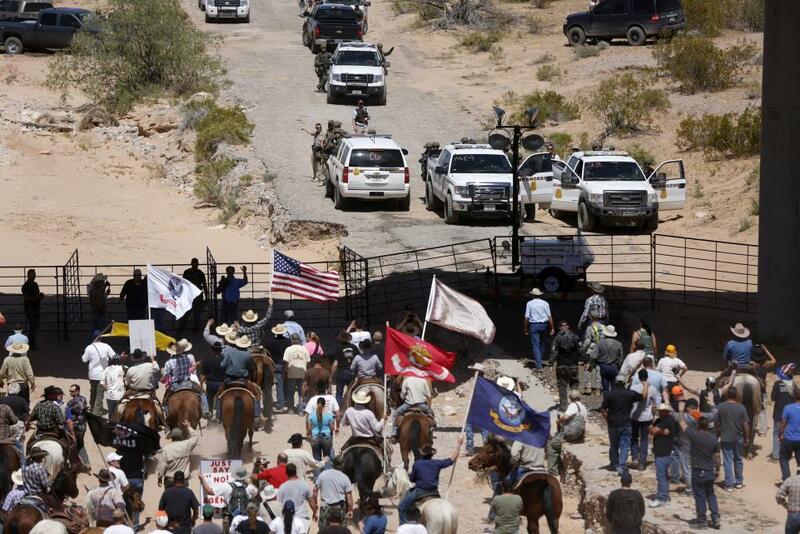 (Apologies to Emerson) Beneath the rude bridge that arched the wash, their flag to April's breeze unfurled: Victory at Bunkerville, 2014. What happened at Lexington and Concord, Massachusetts on April 19, 1775 was an eruption of terrorist violence against the forces of order and decency, insisted Peter Oliver, a former Massachusetts Bay Superior Court Judge. His history of the American rebellion was published in 1781, but it has an oddly contemporary flavor – almost as if it had been published by an 18th Century analogue of the so-called Southern Poverty Law Center. 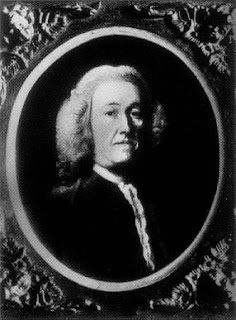 General Gage, “having intelligence that a quantity of warlike stores were collected at Concord … judged it most prudent to seize them,” Oliver narrated. The troops acted with efficient professionalism, only to find themselves under assault by an organized band of gunmen determined to resist the enforcement of lawful orders. Not being able to boast of a victory, the arch-Tory took solace in what he described as “the instances of the British soldiers’ great humanity, in protecting the aged, the women and the children from injury, notwithstanding the great provocation they had to a general slaughter.” The Redcoats were entitled to exact a horrible price in blood, Oliver contended, but they displayed heroic forbearance by refusing to do so. Instead of chastened gratitude for the magnanimity of their armed overlords, the American rebels circulated accounts that Oliver denounced as “atrocious falsehoods” intended to “inspirt the people to the grossest acts of violence.” This led directly to further “barbarities” committed “by Washington and his savages” against the British troops and their contract mercenaries, who embodied the sanctified will of the Sovereign. After diving into the mendacious artifact that Daniel G. Bogden, the US Attorney for Nevada, calls an “indictment” against Cliven Bundy and eighteen of his relatives and associates, it’s a good idea to read some excerpts of Oliver’s very similar treatment of the American revolt as a way to decompress. Abruptly rising to reality after plumbing the depths of Bogden’s dishonesty might otherwise lead to the intellectual equivalent of the bends. The rodentiform Bogden is a jurist in Oliver’s tradition, a servile instrument of enthroned corruption. 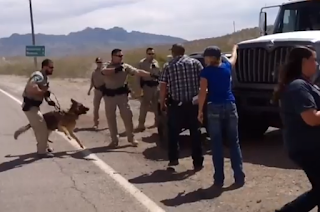 The document Bogden extracted from a typically pliable federal grand jury refers to the April 12, 2014 standoff in Bunkerville Nevada as “a massive armed assault against federal law enforcement officers,” a discreditable description of an incident in which not a single shot was fired by either side. Indeed, the presence of several hundred witnesses, most of whom were “armed” only with cameras or protest signs, prevented mass bloodshed by agents of a Regime that does not scruple to kill helpless people. 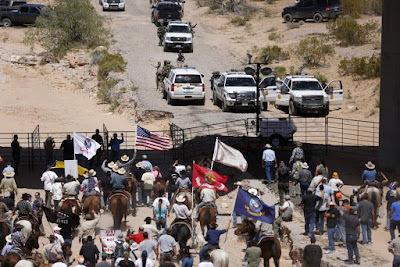 The rebellion at Bunkerville, a genuinely inspiring act of peaceful rebellion against decades of criminal misconduct by the BLM and allied agencies, is depicted by Bogden as a “conspiracy” against federal authority. Nowhere in the indictment is mention made of the fact, attested by several witnesses and participants, that the Feds had broadcast a warning that they were authorized to use deadly force. They were, in other words, willing to kill people in order to keep the pilfered cattle – not because of their value, but as a tangible display of federal “authority” over lands to which they are not constitutionally entitled. Retired Judge Andrew Napolitano, one of the few representatives of that profession who understands and cherishes the rule of law, points out that if the Feds had been seeking to validate a legitimate claim to unpaid grazing fees they would have placed a lien on Bundy’s ranch, rather than dispatching a cadre of contract rustlers defended by a company of armor-clad, M16-toting Brownshirts. Just as Peter Oliver did in 1781, Bogden and his comrades want the public to see the BLM's decision not to slaughter people en masse as an act of nobility. In a supplemental filing against Hailey, Idaho resident Eric J. Parker, whose over-watch helped deter a massacre, Bogden's comrade Justin Whatcott invites the public to pretend that if not "for the courage of the victim officers to back away from their assaulters and abandon the cattle, the actions of Parker and his co-conspirators would have resulted in catastrophic death or injury to the officers and others." 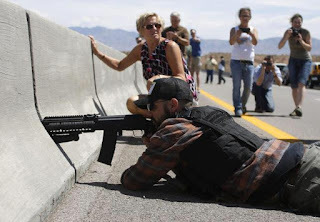 Holding the robbers at bay: Eric Parker in Bunkerville. Although consistently described as a “scofflaw” and “deadbeat,” Cliven Bundy has never refused to pay grazing fees. He has repeatedly offered to pay those fees to Clark County, rather than to the federal agencies who have usurped control over lands within the county. Like other embattled ranchers throughout the intermountain region, Bundy is demanding that the central government end its illicit control over rural lands in the western states. Confronting a lawless federal government that considers its powers to be illimitable, Bundy, along with his sons and associates, chose the course of interposition. To minds rendered inoperable through decades of collectivist indoctrination, those views seem presumptuous, and Bundy’s effort to defend his property seems an impermissible act of armed sedition. Those with a sense of American history might be reminded of the Suffolk Resolves of 1774, in which James Warren, Paul Revere, and similarly disreputable anti-government radicals acted to nullify the unlawful Coercive Acts – and threatened to arrest any British official seeking to enforce them. Those actions are morally and, yes, legally indistinguishable from the actions taken by the Patriots in and around Boston during the early 1770s: Under the “laws” in place at the time, and as seen by people of Bogden’s ilk, the actions of Samuel Adams and his cohorts constituted a criminal conspiracy that culminated in bloodshed. It was that “conspiracy” that led to the formation of the government that provides Bogden with his plunder-derived paycheck. A case can be made that Bundy and his associates have been more restrained than their noble forebears in colonial Massachusetts; after all, at Bunkerville, once the servants of “the present tyrannical and unconstitutional government” had been forced to return the stolen property and leave the scene, no effort was made to arrest them for their crimes. Referring to the BLM’s conduct as criminal is not hyperbole: The same U.S. District Court before which Bundy and his colleagues would be tried has ruled that the agency has engaged in a criminal conspiracy against the rights of Nevada ranchers for at least the last two decades. 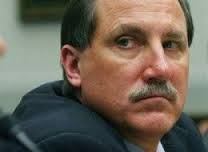 U.S. District Judge Robert E. Jones, in a May 2013 ruling, described the BLM’s campaign of harassment, malicious prosecution, trespass, theft, and extortion against the late Wayne Hage and his family. In 1993, Hage, a prominent rancher and land rights advocate, applied for a federal grazing permit while explicitly reserving his rights. Hage had every reason to suspect the Feds of dishonesty: During the first Bush administration, the Forest Service, which administered lands owned outright by Hage, arbitrarily ordered him to reduce the number of cows on the allotment, claiming – without evidence – that the land had been overgrazed. 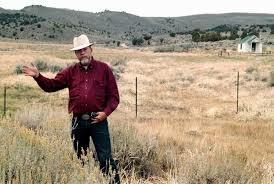 When Hage refused, the Feds stole 104 head of his cattle in an armed reprisal raid. Hage’s grazing permit was revoked and the Forest Service issued an order forbidding him to remove trees that had obstructed his right-of-way – timber that had previously been described as a “nuisance” by the same agency. This led to a spurious – and ultimately dismissed – charge of “destruction of government property.” Four months before that charge was lodged against him, significantly, Hage had filed a lawsuit against the Feds, accusing them of an unconstitutional “taking” of his property. That act of bureaucratic malice in 1993 was a “due process violation” that begat multiple criminal actions by the BLM. Rest in God's Peace: The late Wayne Hage. This was a full-spectrum criminal campaign by the BLM: Racketeering, extortion, multiple instances of falsifying official documents, witness tampering and intimidation, official retaliation – all of it carried out by agencies capable of murdering the victims while shielded by official privilege. The U.S. Attorney tasked by that order to deal with the BLM’s criminal misconduct is Daniel G. Bogden, the same official seeking life sentences against Cliven Bundy and his associates as punishment for their successful effort to impede the BLM’s criminal designs. Rather than complying with that order, the Feds simply arranged for the dispute to be assigned to a more sympathetic judge. The willingness of Judge Jones to describe criminal misconduct in candid terms, insisted judicial commissarina Susan Graber, demonstrated that he "harbored animus toward the federal agencies" involved in the case. "Thieves for their robbery have authority when judges steal themselves," observed the Bard in Measure for Measure. When robbers and rustlers have rigged the system, the only alternatives that remain are abject subjection or armed interposition. 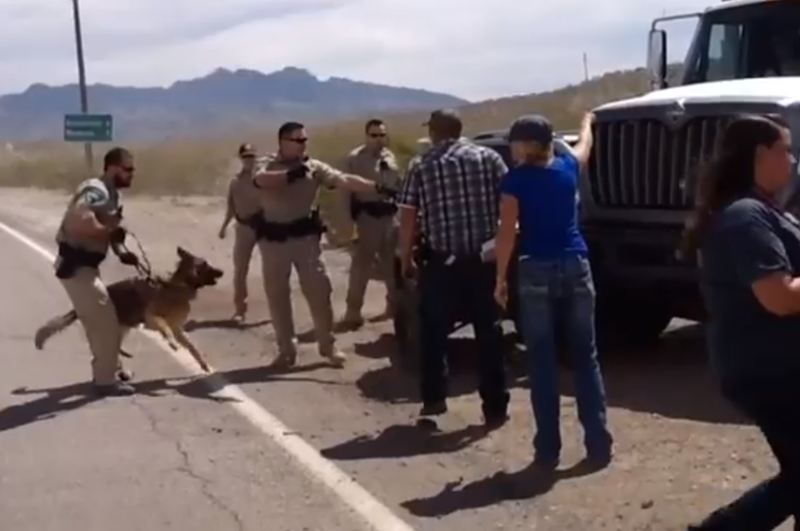 The impending Bunkerville show trial will be intended to cultivate submission. It will most likely produce the opposite result. For the past several months I've been contributing articles at The Free Thought Project, an outlet whose work I've long respected. This provides my work with tremendous exposure, and provides me with gas money -- but it's not enough to support a family of eight. I have been approached about participating in a new media venture that sounds very promising -- but, as is so often the case, it still lingers just beyond the horizon. I am always grateful for the help so many of you have provided, and right now we're really in need of whatever help you can provide. Thank you so much for your generosity. Do you have any sources for judge Jones comments? Great article. You obviously put in the effort to research this thoroughly. Got tar? Get feathers! Eloquently put as always, Mr. Grigg. "Confronting a lawless federal government that considers its powers to be illimitable, Bundy... chose the course of interposition. " This sentence reminds me of one of the root causes of this problem. That is that the current regime has been indoctrinated into backing and perpetrating a "Hamiltonian" vision of the powers of the federal government. In other words, they think the Constitution is a blank check that says whatever they want it to when they look at it. Anywhere it says they can't do this, they "interpret" it as meaning they can. It's similar to interpreting the 2nd amendment as saying that "the right of the people" means the National Guard/Military and that "shall not be infringed" has an implied "unless...(insert excuses to infringe here)". Also, this reminds me of the fact that there's been videos out there for years now of federal training that indoctrinates police etc. that our nation's founders were terrorists. This Bogden and his ilk aren't just failures that don't know any better. They've been actively trained that anyone opposing tyranny is "anti-government" and is going to shoot them out of hostility toward legitimate government rather than criminal acts of tyranny like the one they reconsidered committing in Bunkerville. The truth is that guys like Bundy and those that fought the British are far from anti-government. If that were true those "anti-government" rebels would have fought Washington as well and Bundy wouldn't be willing to pay fees to the local government or abide by other laws etc. You're spot on about these loyalist villains that call peaceful resistance an assault. They are the very same kind of creatures our nation's founders put six feet under for good reason and paved over it with the closest thing to legitimate government and civilized society the world's ever seen. When these clowns start spewing this rhetoric they are provoking a repeat of history, ostensibly believing they are either in the right, or immune from being dragged out and arrested and legitimately tried by a jury of their peers in the street. The reality is that if the majority raids the raiders and does this, they will realize very quickly that the people have not given them the authority to do any of this- that they are and work for anti-American tyrants. As with most criminals I think the main reason they're so boldly pushing this tyranny is that they believe they can get away with it. In the past this has been a ludicrously suicidal proposition, but I'm afraid with NSA mass surveillance, HELLADS, ARGUS, and ATLAS drones and other advanced weapons from DARPA they may actually be able to get away with it if people don't massively resist in a more frequent and thoughtful way. If the British had the power of the NSA and ARGUS and HELLADS(fly in swarms with 150KW lasers) drones we'd still be under direct British rule.